Persians is a new Pet Portrait for March 2018. 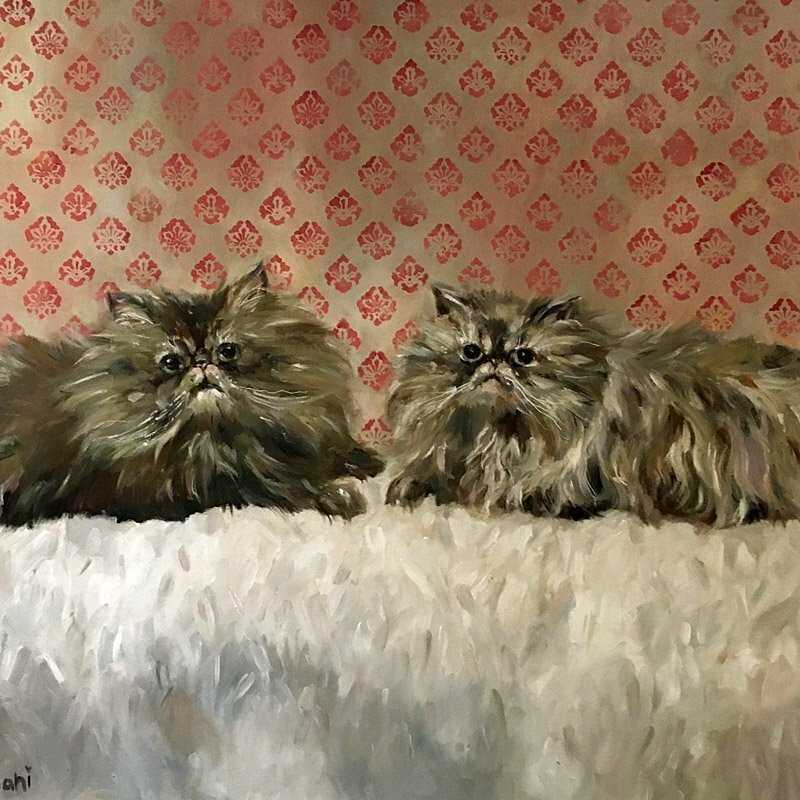 Featuring two very expressive, fluffy, wide eyed Persian cats. Painted in oils on box canvas, i have been able to build up their fur through layering to give a soft gentle feel to the piece. Sitting in front of a pink damask wallpaper , the two cats look very comfortable on a white wool pile rug. Please contact me for further information or click here to view full details.